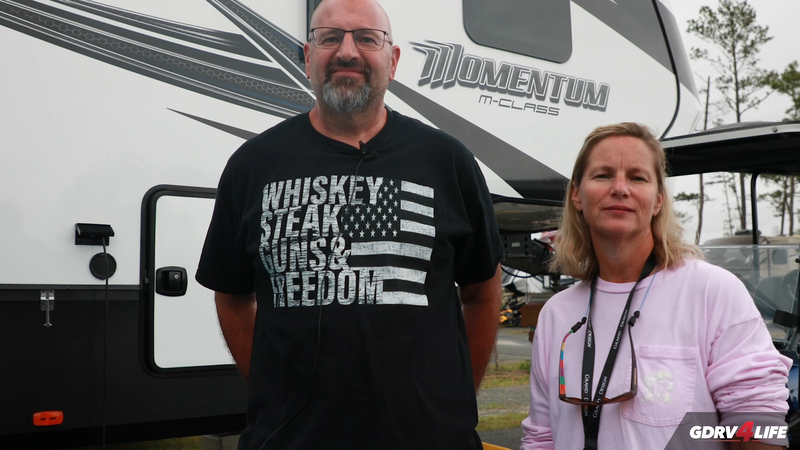 Having extra room in the garage is a big reason why Mike & Renee Carnochan are big fans of their 2017 Momentum M-Class toy hauler. 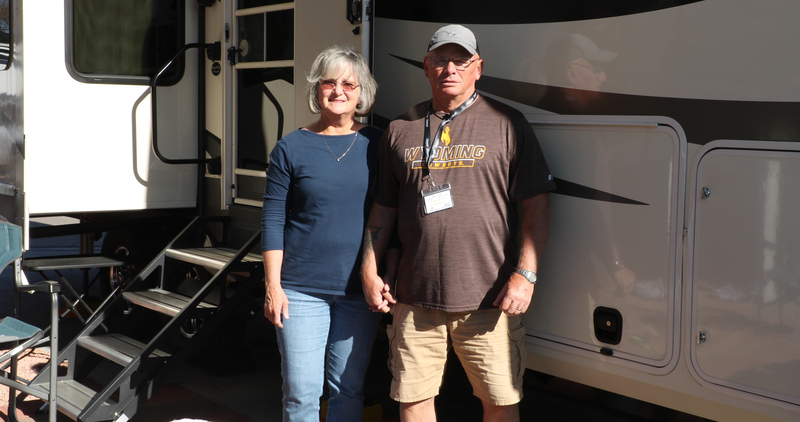 "The camper suits our needs with the toy hauler portion with our dogs to stay in and put our toys in," explains Mike. Renee says the extra space 350M is a big boost for when they have family along with them on trips. 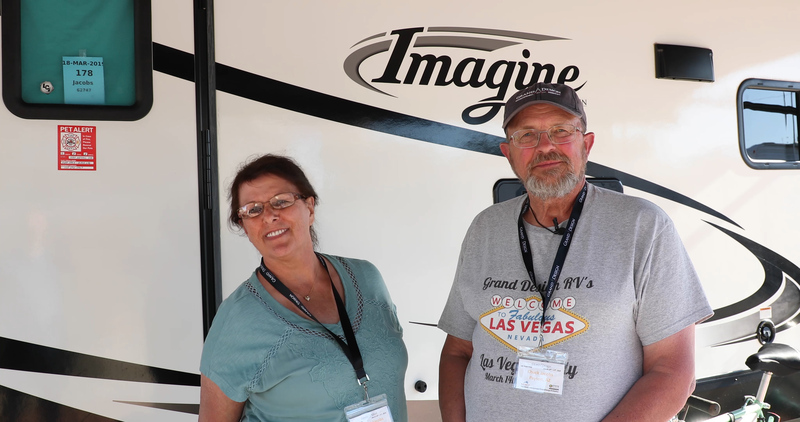 "We have kids that travel with us --older kids-- and they use the [garage] as a bedroom and we can shut them off as a bedroom and they can have their own area," says Renee. Mike says the big front bedroom and the kitchen having a good size are also major features they are fans of. 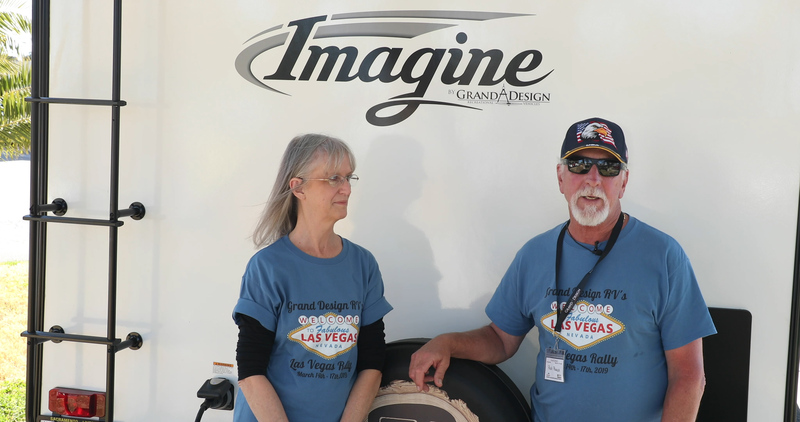 "We chose Grand Design because of the rumor of the excellent customer service which we first hand witnessed it's very good customer service," Mike adds. "They've always taken care of us if we've had an issues, problems, sending us parts to help us fix stuff." And getting through to Grand Design's customer service team has been easy for the Carnochans. They say they've reached out to Emily Stahley and she's made sure they received the parts they've needed. 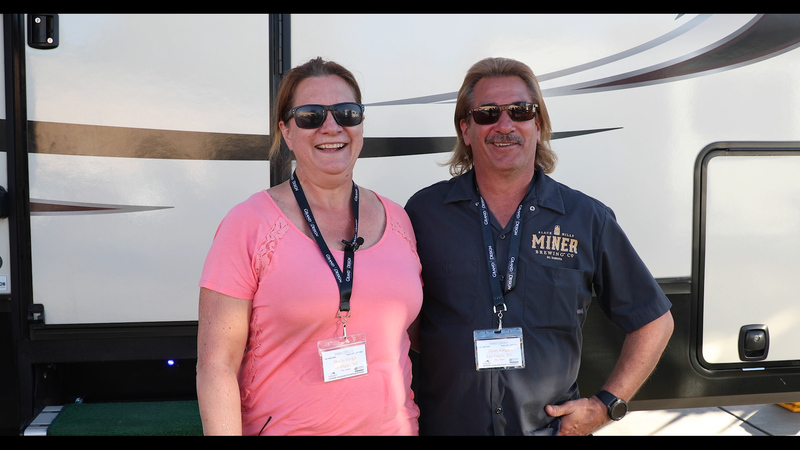 The Carnochans attended the Delaware Rally and say they are appreciative of the Grand Design technicians who are hand helping to fix emergency and recall issues. Check out floor plans, specs and picture of Momentum here. Submitted 3 weeks 22 hours ago by GDRV4Life. We Bought a Floater Toter! !